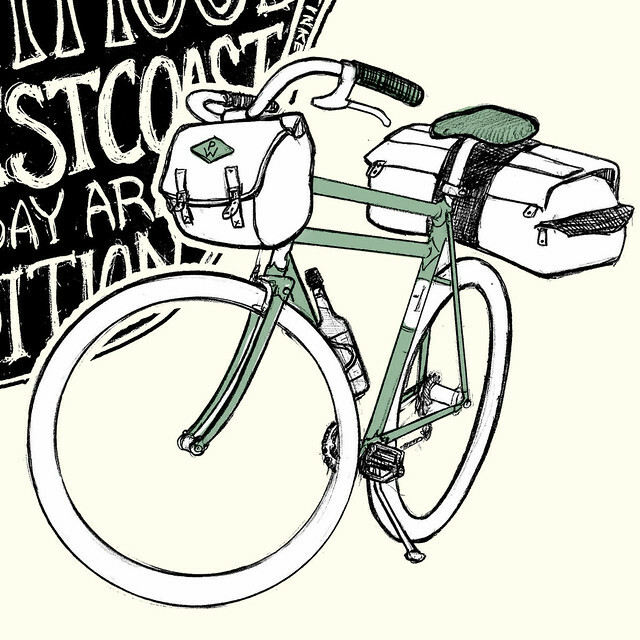 Rivendell Jamboree Tee Shirt Preorder! I have the Rivendell jamboree tee shirt design up on Etsy. Three colors of bicycle: Rivish green, blue or orange. So far orange is the front-runner, but the blue is my favorite.